Favorite Chicken & Ribs launch a brand-new Snack Rappa in to stores this week. Snack Rappa will complement the existing Snack-it range in offering big taste in a snack portion. Rappa is a well-established item on the Favorite menu and one customers love. 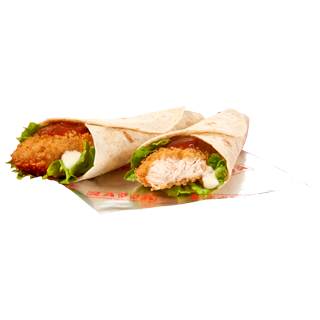 Available at launch in the standard Rappa variations of Spicy Salsa or Tangy Tomato, with a Crispy Chicken Fillet Strip (100% whole breast meat), Onion Rings, Lettuce and our signature Cool Mayo.